I've been looking at the Skinny Dip cases for some time, specifically the sassy unicorn case or liquid glitter one - but I can't decide so I'm forcing myself to wait until I have new phone before buying one because I think it would be a waste on my little iPhone 5S anyway. I don't have to wait to own the Glitter box clutch though! 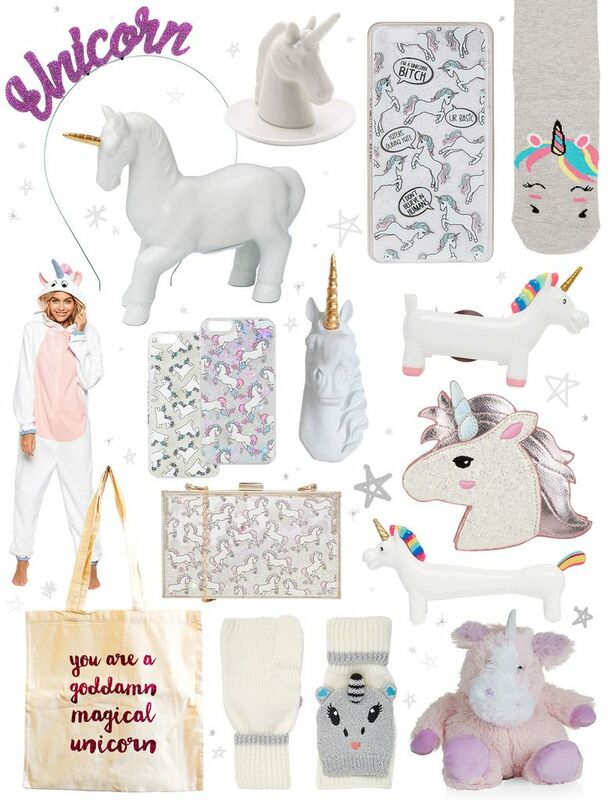 I'd love to introduce some more sophisticated unicorns into my home decor and think that the all white items work so well for this. The white porcelain money box and ring holder would look great in my new wardrobe room with the pure and pretty style I'm planning. There may even be room for a wall mounted statue.